After Ford, US automakers General Motors and Fiat-Chrysler said Thursday they were cutting vehicle production following a factory fire at a major parts supplier last week. 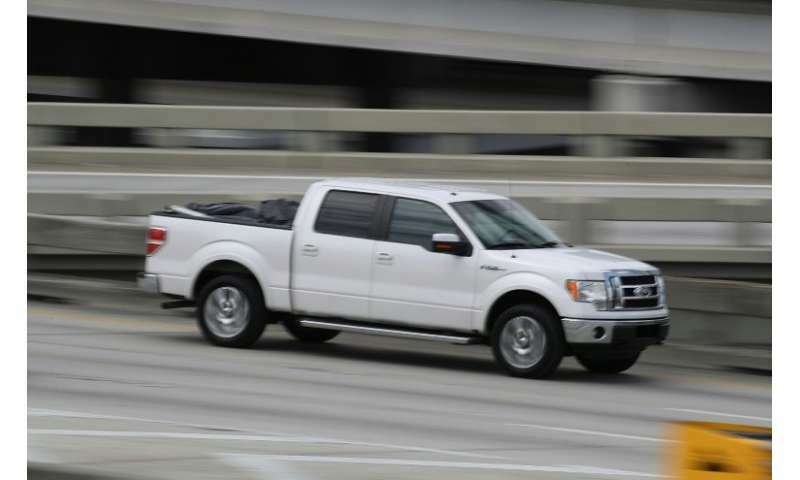 Ford had announced Tuesday the fire had halted production of its best-selling F-150 light duty truck across three factories, idling some 7,600 workers. The blaze occurred at the Meridian Magnesium Die Casting factory in western Michigan last week. Ford said it was working with its supply base to offset the impact, adding that it did not expect its yearly-profit forecast to be affected. "The automotive industry is heavily connected through the supply base," said Charlie Chesbrough, chief economist for Cox Automotive. "A major disruption could not come at a worse time for Ford—70,000 sales each month are at stake," he said. Fiat-Chrysler meanwhile said production of its Pacifica model at an assembly plant in Windsor, Canada had been impacted as a result of the fire at Meridian but did not indicate any workers were being idled. GM has temporarily halted production of its full-size vans at an assembly plant in Missouri, spokeswoman Kimberly Carpenter said in an email.